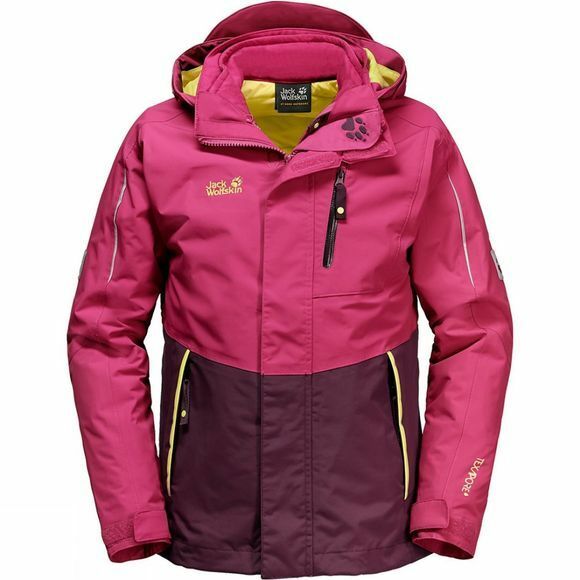 The Youth's Crosswind 3-in-1 Jacket Age 14+ is designed to keep out extremely cold and wet weather. The outer jacket is made from an extra-robust version of Jack Wolfskin's proven Texapore fabric. This ensures reliable protection from the wind and rain and makes the jacket tough enough to withstand harsh treatment. And when the outdoor adventure gets really energetic, the dynamic breathability of this high-tech fabric is a real bonus. The more active your child is, the more warmth and moisture is expelled through the fabric to the outside – resulting in a consistently pleasant climate comfort. The clever System Zip means that your child can wear the outer and inner jackets separately, which is particularly useful in dry conditions or milder temperatures. This also means the jacket can be worn all year round. 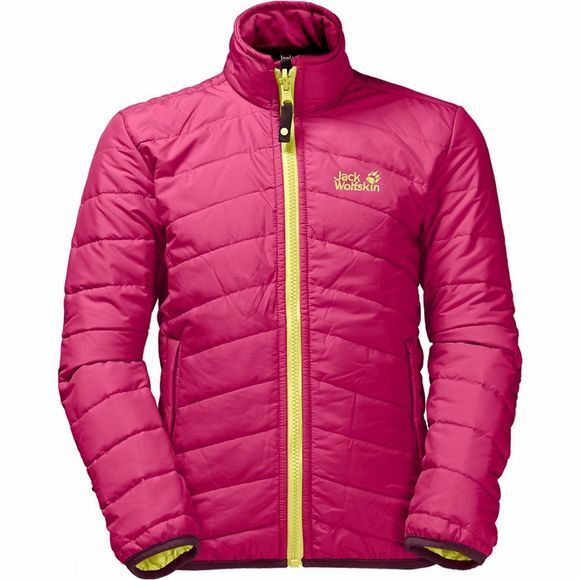 The windproof inner jacket is equipped with robust Microguard synthetic insulation. It retains its insulation performance even when damp and dries out again quickly. The inner jacket also benefits from a water-resistant finish, so it can cope with light showers. The hood is adjustable and detachable for added comfort and weather protection. Quick release safety press studs stop the hood getting snagged on anything. And the two large hip pockets and chest pocket provide plenty of room for important bits and pieces.